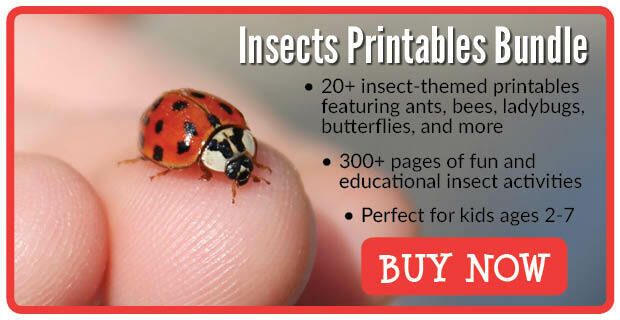 Of all the learning units my kids and I have done together in our homeschool preschool, our insect units have to be my favorite. To date we have studied ants, butterflies, ladybugs, and silkworms. I think the reason I have enjoyed our insect units so much is because we have had the chance to bring these insects into our home and watch their life cycle unfold in front of us. 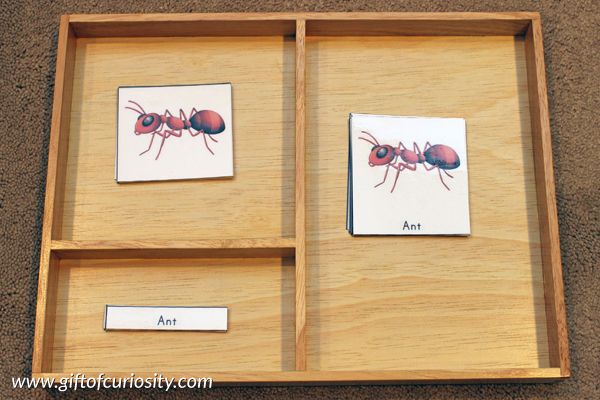 Of the insect units we have done so far, our ant unit has been the most extensive. 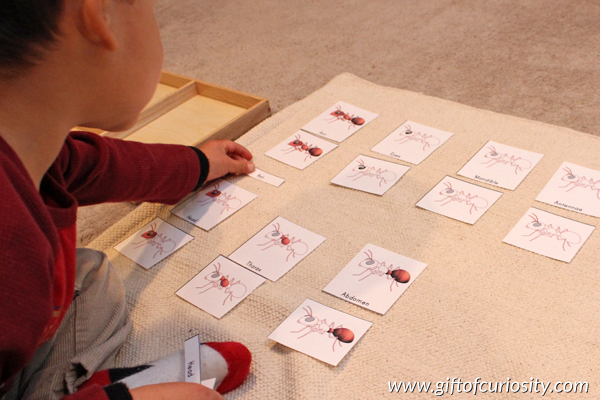 Among many other activities, we spent some time learning about the anatomy of an ant with the printable I shared in this post. 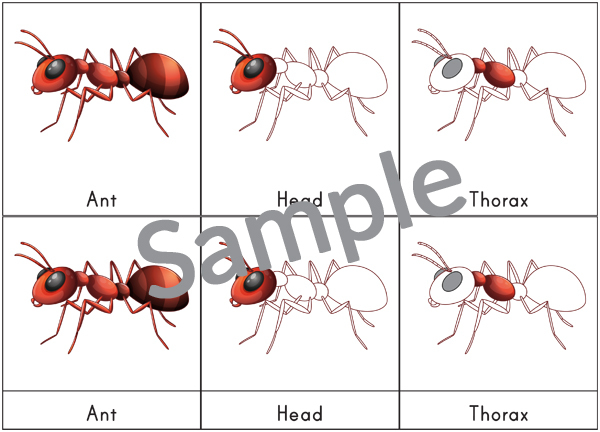 I also created some ant 3-part cards to continue our anatomy lessons. 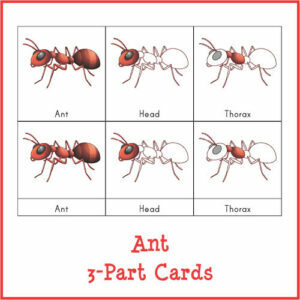 And today I’m making my ant 3-part cards available to you! 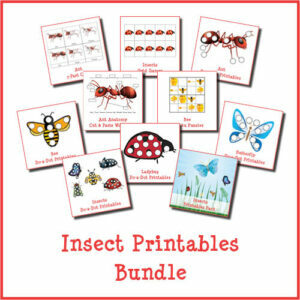 Note: For more printables and lots of activities related to ants, see my Insects Unit Study page. As part of our ant unit study, we learned about the anatomy of an ant. 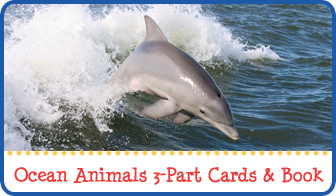 I created some 3-part cards to assist with this learning. The first presentation of this work was to match the picture cards to the control cards. 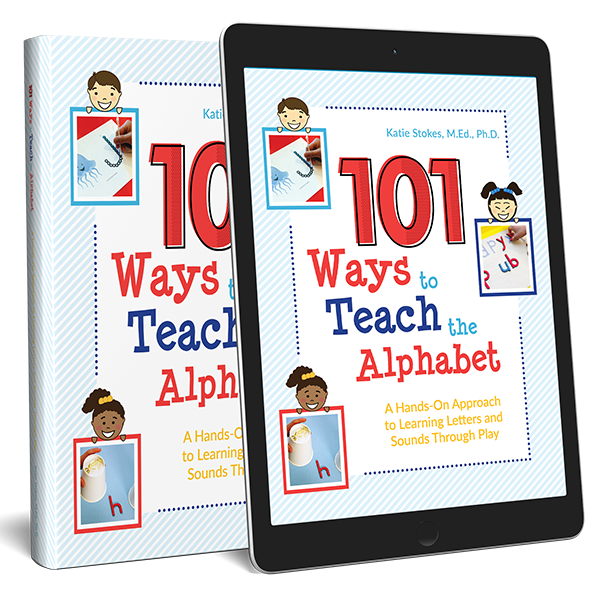 QBoy, who is in the beginning stages of reading, also wanted to match the label cards. 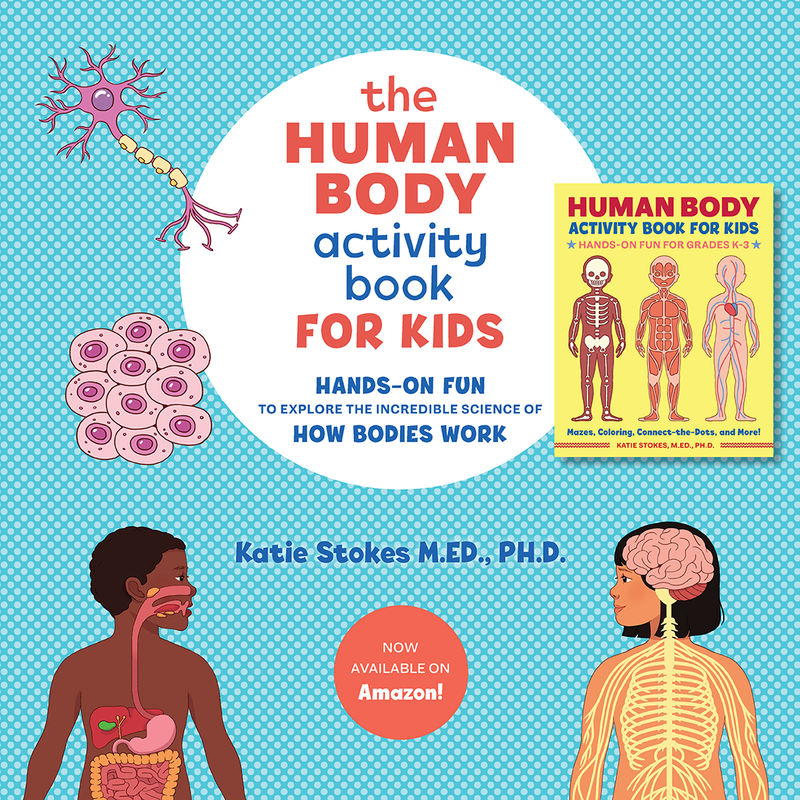 Although he is not a mature reader, he used the first letter of each label as a clue to which ant body part the label was for. Plus, he could visually match the word on the label with the word on the control card if needed. On another day, I wanted to give QBoy more practice with ant anatomy. So I decided to present the material in a slightly different way that I knew would be very appealing to him. 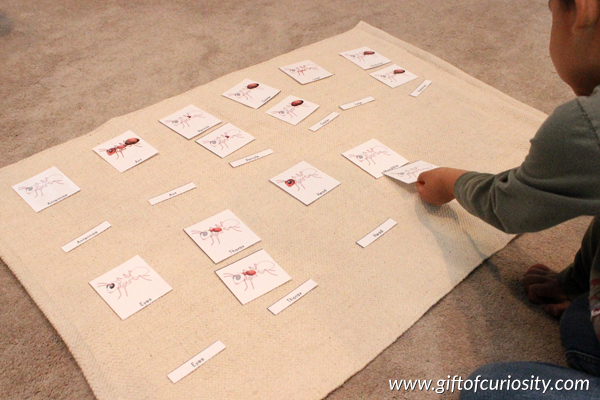 He and I first laid out all the control cards together in order to refresh his memory about the names of the different parts of the ant anatomy. 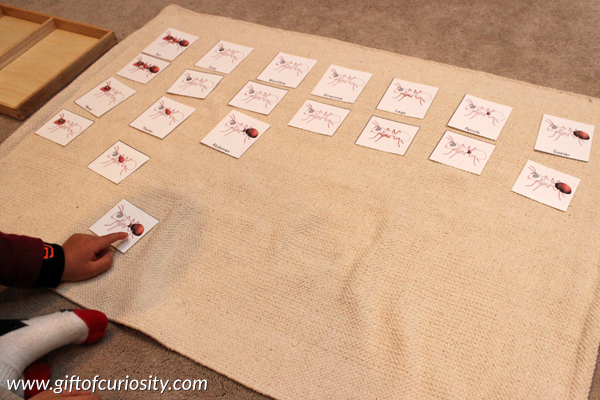 Then I spread the picture cards out in another room to play a game. 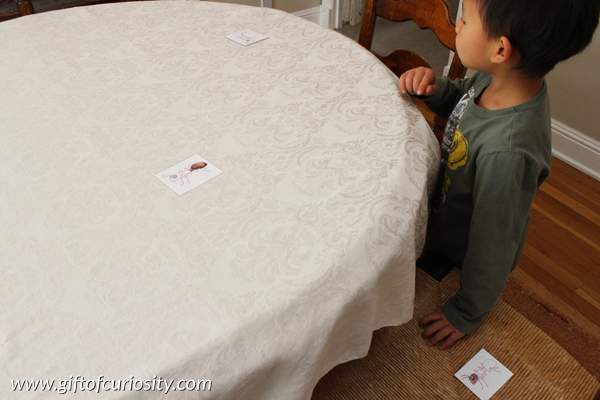 The game worked like this: I would ask him to go into the dining room where the pictures cards were “hidden” in order to find a particular card (e.g., head). 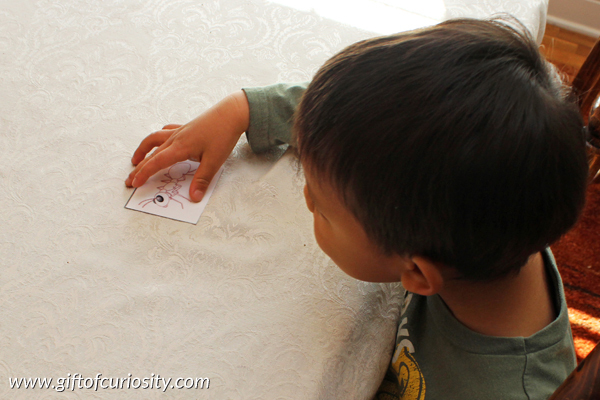 Once he found the card he was looking for, he picked it up and brought it back to the work mat. He then matched his picture card to the cards on the mat. 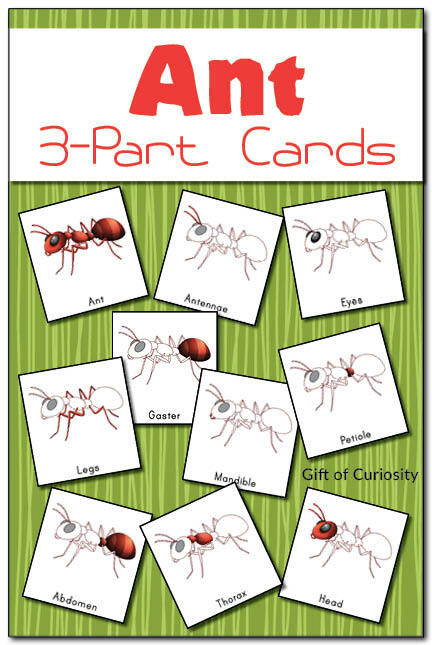 Want a copy of my Ant 3-Part Cards? 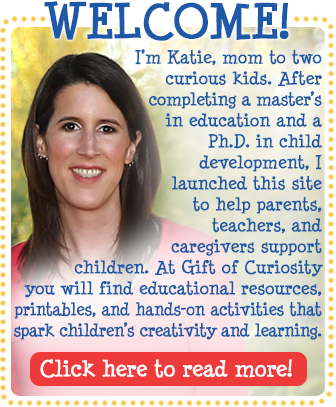 What a wonderful printable! 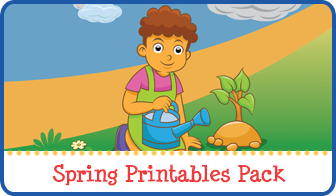 thank you for sharing your creations with Kids Learning Printables!